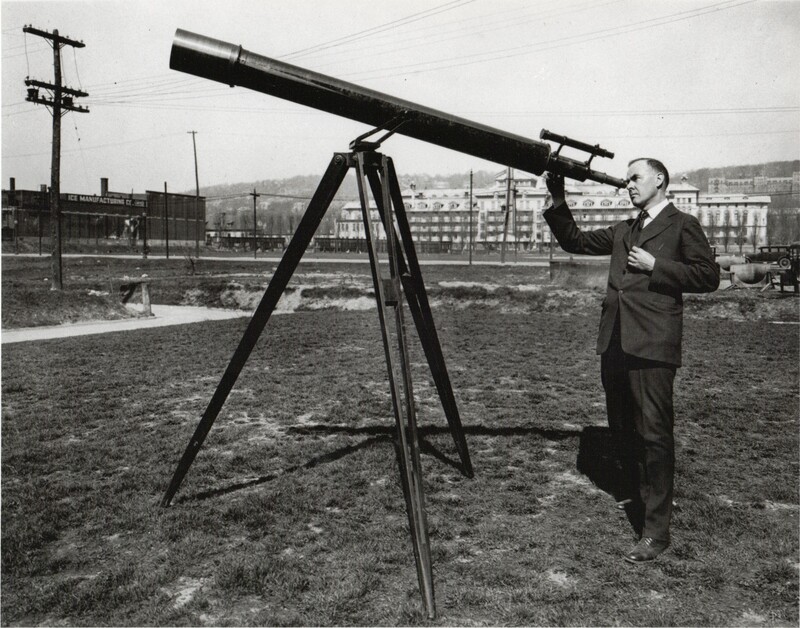 The first photo of a man looking through a 6" refractor is Herbert Elwood Stokes Asbury. Mr. Asbury was Mrs. Jamieson's father and one of the founders of the Montreal Centre. Mrs. Jamieson tells me that he also established a Centre in Guelph Ontario before the first world war. We do not have a date for this photograph, however one of our older members states that the car shown is a 1928 model. Mr. Asbury died in 1933 and his telescope was left to the Montreal Centre. The photo was taken by the Montreal Star and the location is near the south west corner of Atwater and St. Catherine streets where the Herbert Reddy Hospital is now located.